DANA POINT — Winter weather may have chased the tourists away, but it’s the perfect season for whales to make their annual trip to Southern California waters. 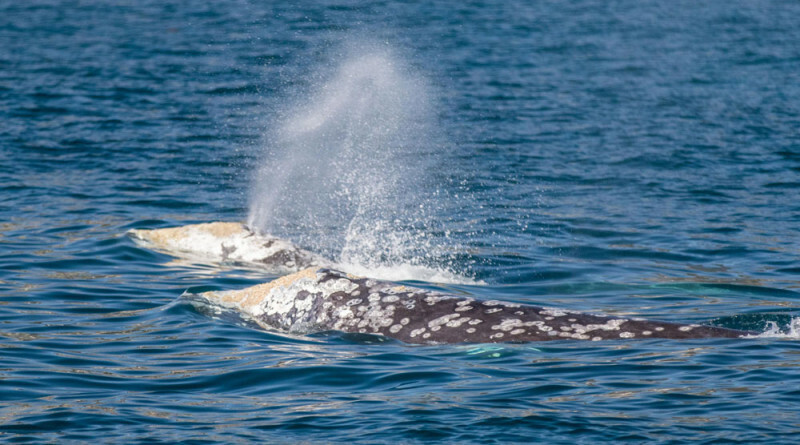 The majestic Gray Whale began its migration along the West Coast to Baja in late November 2015 but March is the month when hundreds of the whales can be seen in Dana Point. The city invites the public to greet these 35-ton leviathans during the Festival of Whales on March 5-6 and March 12-13. This year marks the festival’s 45th year run that features ocean-themed events and activities. According to the festival’s website, approximately 40 to 50 whales will pass by Dana Point every day during the peak migration season – December through March. California Gray Whales, humpback whales, fin whales, blue whales and pods of killer whales have been spotted during the festival in years prior. Festival of Whale activities include whale watching, a parade and street fair, sand sculpting, live music, on-the-water concert, educational lectures and seminars, a boating extravaganza, kids crafts and more. Visit festivalofwhales.org or call 888-440-4309 for more information.